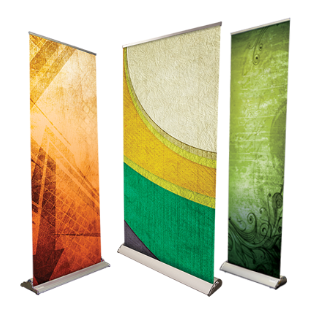 Pal Retractable Banner Stands are among the best in the industry. Each model is designed and manufactured to our proprietary specifications, stringent quality guidelines and all are covered under a lifetime warranty. The Pal line is extensive, ranging from entry level units to larger and double-sided options. The slim aluminum bases, compact footprint and individual carry bags with pole storage space make Pal Retractable Banner Stands an excellent choice for your portable display needs.